As you already know, jeans are like a timeless classic and they can never really go out of style. They can be found in versatile styles, from skinny to boyfriend, low to high waist, ripped or with some embroidery. 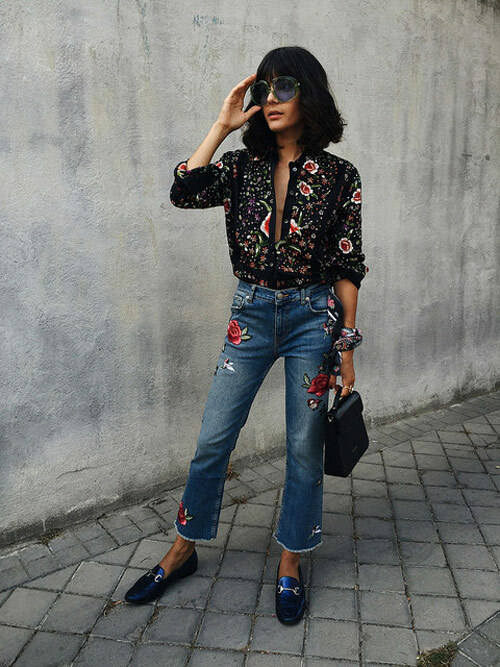 So, in case you plan on buying a new pair of jeans, then maybe you can get some embroidered jeans because they will be really popular this spring. 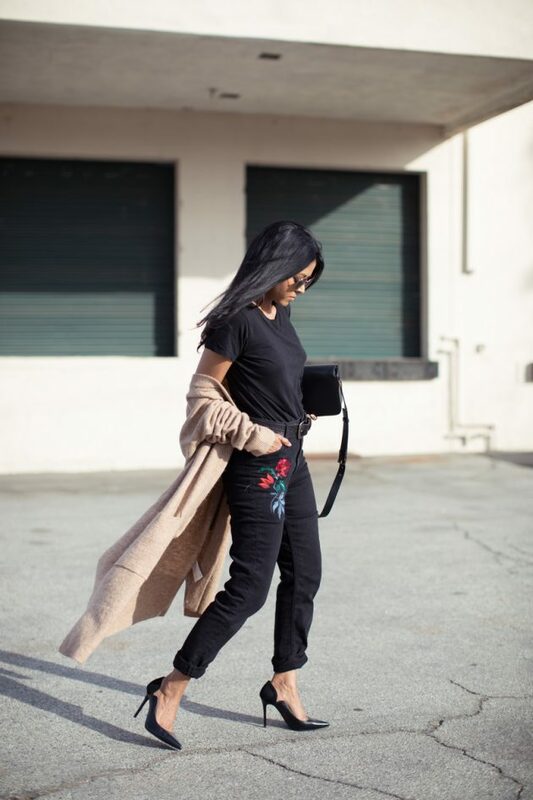 Yes fashionistas, embroidered jeans are a must-have for this spring and once you finish reading this article, you will love to go and shop for one such pair. Flowers are the most common embroidery, but designers have also come up with many other embroidered patterns for everyone’s taste. The embroidery pattern is found in all types of jeans, so whether you want skinny or boyfriend, low or high waist, choose them to be embroidered for this season. 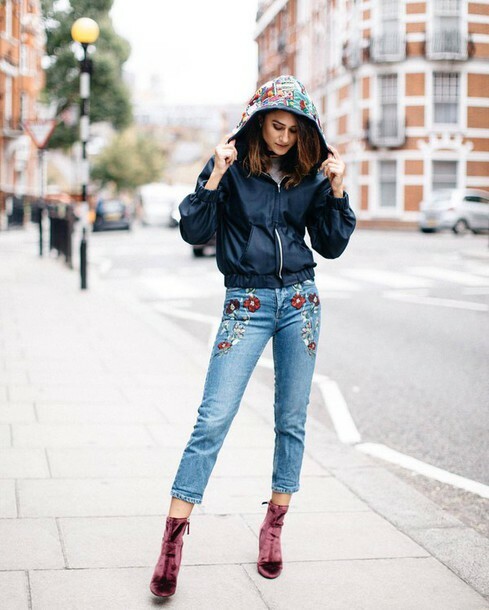 Here are several fashionable outfits with embroidered jeans that will make you want a pair of such jeans immediately. Enjoy! Embroidered patterns can be added on all types of jeans. For instance, you can even find some embroidered black jeans which can make an all black outfit look less boring. 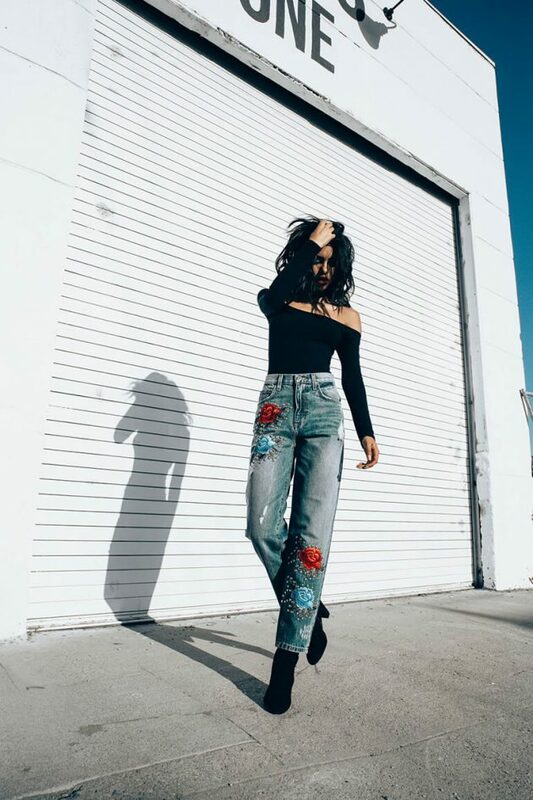 Embroidered jeans can be found everywhere, but if you want to have a unique pair, then maybe you can try to make some on your own. You can easily make some with stitching embroidery patches on some plain old jeans, or simply gluing them with a fabric glue. This same process can be done on some denim jacket too, or maybe even on some plain bag. Just like any other type of jeans, embroidered jeans can go well with anything. They can look great with any plain top as well as some patterned ones. Just make sure to match the patterns right. 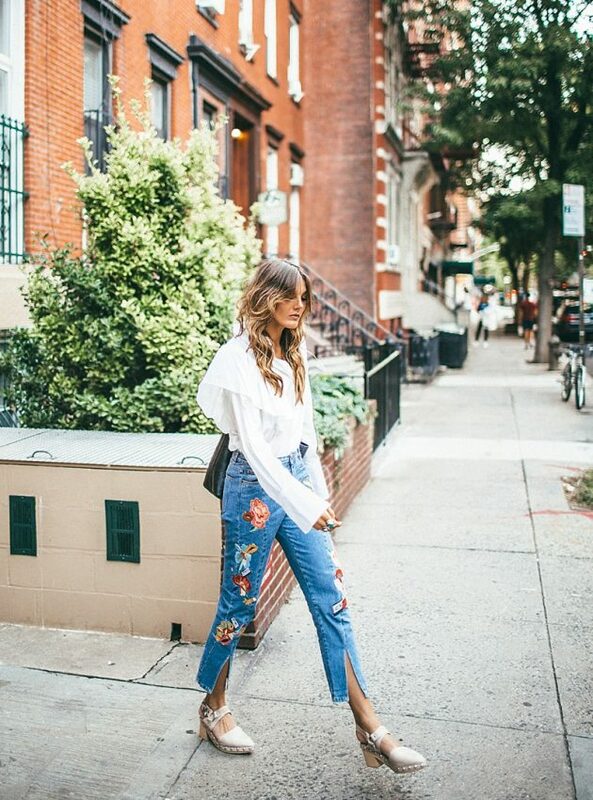 For instance, a floral embroidered jeans will look great with some flora blouse or maybe a striped one. So, which one from the above outfits did you like the best? Tell us in the comments and make sure to get yourself a pair of embroidered jeans for this spring. Thank you for reading and don’t forget to stay up to date with the content of Fashionsy to keep up with the latest fashion and beauty trends.